OnePlus might be warming up for the upcoming launch of its next flagship killer dubbed OnePlus 6, but the Chinese OEM’s growing smartphone portfolio isn’t of any concern as far as software updates are concerned. As usual, the company has been busy rolling out new updates that install new features and fix various bugs – and the latest versions rolling out to the 2016 OnePlus 3 and 3T as well as last year’s OnePlus 5 and 5T do exactly that. Those using OnePlus 3 are now receiving Open Beta 35 while those on the 3T are receiving Open Beta 26. 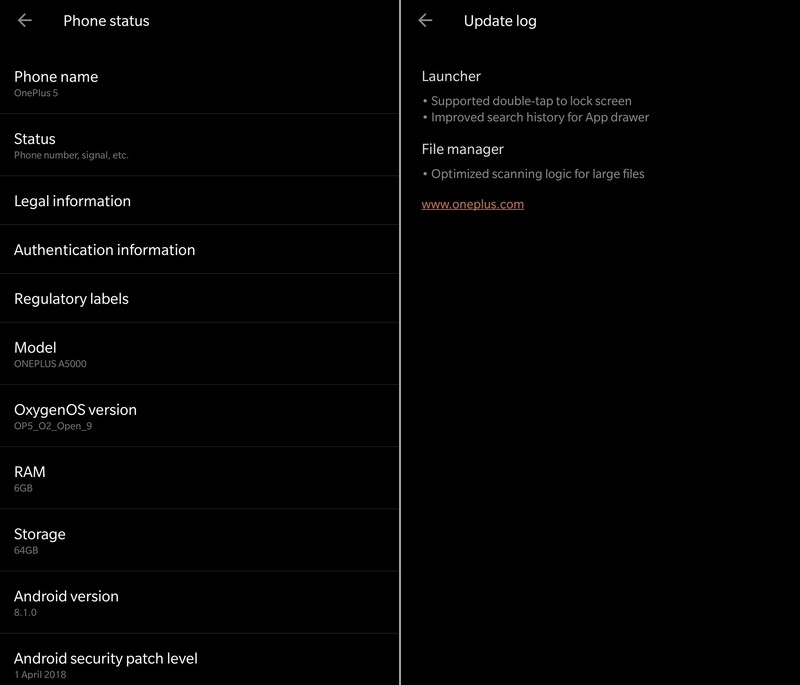 If your device is the OnePlus 5, watch out for Open Beta 9 while those on the 5T will be getting Open Beta 7. There isn’t much the new updates bring to the four devices, but one notable addition is the new feature that lets you double-tap on the screen to lock it. The update also brings improved searched history for App drawer alongside some optimizations to the scanning logic for large files. The changelog is the same throughout (although OnePlus 3 and 3T also get the ability to hide lock-box entry in guest mode), so don’t start asking what exactly your OnePlus 3 or OnePlus 5 is getting. These updates are now available over the air, but you can still download them manually and install them on your phone. However, remember that they are limited to those in the Open Beta program, which is still open.